Does your dream wedding include white sand, warm weather, and an ocean view? Enchanted Honeymoons is here to make that dream a reality! We’re an Omaha travel agency that has years of experience in setting up destination weddings for couples who want to get married in paradise. We can help you find the perfect resort, make travel arrangements, and also set up your wedding venue on the beautiful beaches of Riviera Maya, Mexico. Why Choose Riviera Maya for Your Wedding Day? Riviera Maya has a huge selection of amazing resorts where you can be immersed in luxury. Find your piece of paradise on the shores of the Caribbean at a resort in Riviera Maya. Whether you want a romantic getaway for your destination wedding, or you want to find a resort the whole family can enjoy, there’s a perfect place for you. The ultimate in luxury, all-inclusive resorts are the best way to travel for people looking for a relaxing experience with premium comforts. During an all-inclusive stay, you’ll have everything taken care of for you from the moment you arrive to the moment you head home. You and your guests won’t have to worry about additional costs for food or drinks during your stay while you have the wedding of your dreams. Escape from your busy lives to delight in a romantic getaway for two at an adult-only resort. If you plan on having an intimate wedding experience, this is the perfect way to add an amazing, romantic atmosphere to your big day. Enjoy privacy while basking in paradise at an adult-only resort like The Royal Playa del Carmen. For those who would never dream of getting married without their family with them, there are also many family-friendly resorts in Riviera Maya. Choose a location that everyone can enjoy, whether they’re young or old. You can have your dream destination wedding, and still be surrounded by those who love you. Destination weddings are all about the picture-perfect settings. 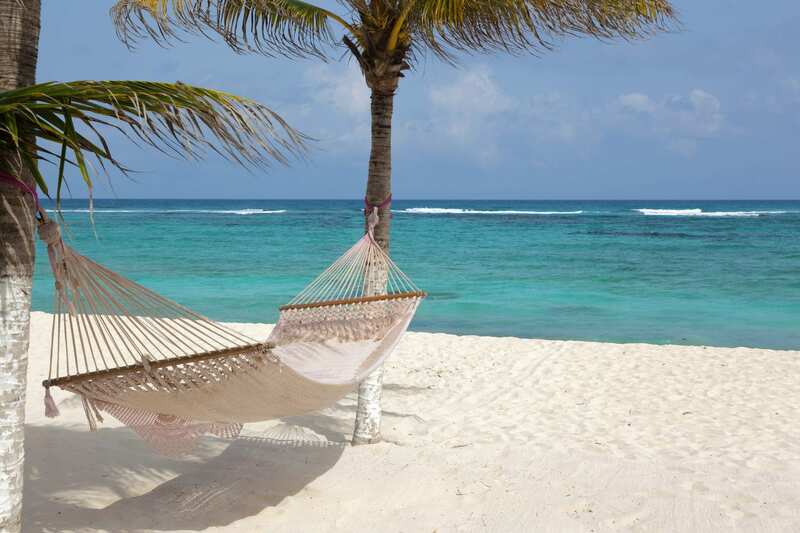 The Caribbean is breathtakingly clear, and the beaches in Riviera Maya are covered in soft, white sand. Resorts are located on gorgeous beaches, and there are also local favorites like Akumal Beach and Playa Paraiso where you can have your ideal wedding ceremony and reception. Many resorts offer wedding packages to ensure all the details of your big day are perfect. Flying in to Cancun from Miami International Airport is less than a two-hour flight. This short flight makes it both easy and affordable to travel to Riviera Maya, whether you’re on a budget for your destination wedding or if you want your family and friends to be able to attend. Riviera Maya is surrounded by a wealth of Mayan ruins and ancient villages. Explore these amazing archaeological sites and learn about Mayan culture and architecture during your stay. Riviera Maya has some of the most beautiful scenery in the Caribbean. With Mayan ruins nestled into dense tropical jungles, spectacular caves that are waiting to be explored, and beautiful underground rivers you can swim through, there’s no shortage of jaw-dropping sights. Tulum is a Mayan city located right on the beach of the Caribbean. Explore the beautiful ruins of an ancient civilization and take in the exhilarating view of the Caribbean Sea at the same time. Xcaret is an eco-archaeological theme park located on the beach. Learn more about Mayan civilization while having the time of your life! Take a snorkeling tour, swim in underground rivers, and enjoy amazing food and spectacular shows. Aktun Chen is another amazing park where you can explore Mayan caves, underground rivers, and even take a zipline over the canopy of the forest. This stunning beach is the perfect place to spend the day snorkeling and relaxing in the sun. With an abundance of sea life, you can swim with turtle, rays, and more! Have you decided that Riviera Maya is the perfect place for your wedding? Call us at 402-281-3022 to speak with an Enchanted Honeymoons Omaha travel agent. Learn more about your wedding options, resort packages, and more. We’ll help you create the destination wedding of your dreams!